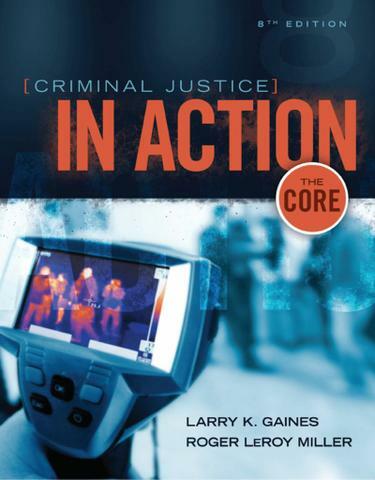 Concise, career focused, and completely up to date, the exciting new CRIMINAL JUSTICE IN ACTION: THE CORE, 8th Edition, delivers an accessible, applied, and real-world introduction to the field. Gripping photos and an engaging magazine-like layout make this succinct text ideal for a fast-paced course and visual learners. The text presents topics and cases straight from today's headlines, putting students in the center of the action with vivid, relatable examples that demonstrate the core principles of the American justice system at work. Reflecting reviewer feedback, the text combines just the right depth of coverage with a wealth of learning tools that appeal to a variety of learning styles.